1.1. 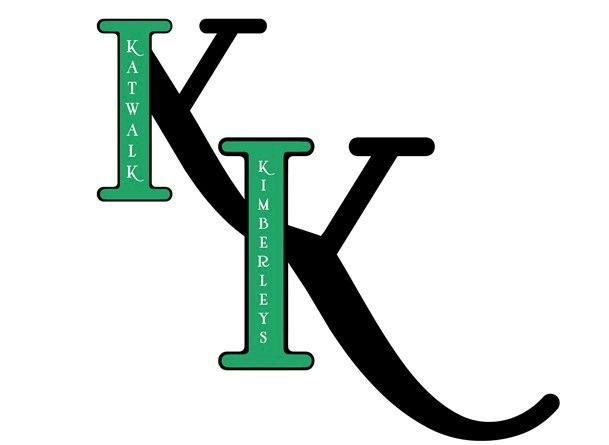 The following terms and conditions apply to all orders placed by the customer (hereinafter referred to as ”you”) with Katwalk Kimberleys hereinafter referred to as “KK’s” or ”we”, at KK’s Online (also referred to as the ”website”). 1.2. By using this website and/or placing an order you agree to be bound by the terms and conditions set out herein (the “Terms”). 1.5. Any court proceedings brought in relation to these Terms must be heard within the United Kingdom. If you live in England or Wales the laws of England and Wales shall apply; if you live in Scotland, Scottish law will apply; if you live in Northern Ireland the laws of Northern Ireland will apply. 1.6. These Terms are only available in the English language. 2.1. The ordering options available to you are via our website or selected retailers. 2.2. Only persons over eighteen years of age with a residential address in the UK can place an order. 2.3. Once you have placed your order, if you have supplied us with your email address, you will receive an email confirmation. If for any reason we are unable to fulfill your order, we will let you know at the earliest opportunity. If payment for an order is processed and if we have already accepted payment for the order, this will be refunded to your account or the card which you made payment. 3.1. KK’s exercises the utmost diligence in accepting and processing orders and will endeavour to deliver your order to any residential address in the UK (excluding the Channel Islands or to BFPO). 3.3. Once you have placed your order, you will be notified of the expected delivery details. If these details are not acceptable you have the option to cancel the order. 3.4. For packages that cannot be delivered after several attempts, KK’s reserves the right to charge £15.00 for costs arising. 3.5. Any items delivered to you will remain the property of KK’s until payment is made in full. However, the responsibility of keeping the items in a reasonable condition will be passed on to you following delivery. 4.1. Under the Distance Selling Regulations you have a ”cooling off” period of seven working days (beginning the day after delivery of your order) to cancel your order and receive a full refund of order, not including delivery costs. 4.2. If you wish to cancel your order please provide us with notice in writing either by post [Katwalk Kimberleys Customer Service, 6 Belle Vue Road, Linthorpe, Middlesbrough, TS5 5AQ], or by email [contact@katwalkkimberleys.co.uk with the subject line of Returns], in each case within the seven day cooling off period. Please then return the item as set out in section 6 below and we will provide a full refund to your account or to the card used to purchase the item (or, if the item has not yet been paid for, reflect the return of the item in your account balance) within 30 days of receiving your notice of cancellation. 5.1. In addition to the cooling off period under the Distance Selling Regulations, we offer our own returns guarantee. If you change your mind or are not completely satisfied with any item(s), KK’s guarantees to refund (or if you prefer, replace) any such item(s), provided that all items have been kept in reasonable condition prior to their return. In particular, this means the item(s) must not have been damaged, soiled, washed, altered or worn (other than to try the item on) and that any labels or tags are still intact. To take advantage of our returns guarantee, simply return the item to us in good condition within 28 days of receipt. 5.2. All our parcels contain a return address label for you to use if you decide to return any items. You will find more detailed information on our returns process on the delivery note. Send In the return within the 28 day return period with your delivery note. 5.3. Where the Distance Selling Regulations described in section 5 above do not apply, we charge a returns fee of £4.50 per delivery in order to cover the costs of re-stocking the unwanted item(s). 5.4. A full refund will be provided within 30 days of us receiving your returned item(s) (excluding the delivery cost and the return fee described above). If payment was made using a valid credit or debit card, we will credit the refund to the card used to make the purchase. If payment was due to be made after delivery we will ensure that the return of the item is reflected in your account balance. Please note that for hygiene reasons items of clothing such as swimwear and any form of underwear cannot be returned if they have been worn. 5.5. An alliterative for a return is to fill in the return for located on the website under the Customer Service section of the footer. You will be required to enter any relevant information in order to process the return and refund. 6. PayPal – We currently only offer one form of payment which is through PayPal, this is for security reasons and also offers you a faster way of receiving your order. 7.1. KatwalkKimberleys.co.uk does not accept cash / cheque’s. KK’s reserves the right to charge £15 for costs arising for any cash / cheque’s received. 8.1. If we breach these Terms, we shall only be liable for losses which are a reasonably foreseeable consequence of such breach. Losses are foreseeable where they could be contemplated by you and KK’s at the time you placed your order. Failure to deliver the goods or to meet any of our other obligations under these Terms where such failure is due to an event that is beyond our reasonable control, which includes but is not limited to fire, flood, storm, riot, civil disturbance, war, nuclear accident, terrorist activity and acts of God. 8.3. Our total liability to you for any loss or damage arising in connection with this Agreement shall be limited to the total price of your order. 8.4. Nothing in these Terms is intended to affect your statutory rights. We cannot guarantee that the colours displayed exactly reproduce the colours of the actual garments. The colours reproduced depend on the settings of the device used to view the website. If there are defects in the goods you have purchased, KK’s abides by all statutory guarantee regulations. If you have a complaint regarding obvious material or manufacturing faults in goods that we have supplied, including damage incurred in transit, please let us know by returning the goods to us. KK’s reserves the right to assign any claims for payment that are due and have arisen in connection with goods deliveries, including any payment instalments and charges due, to third parties. KK’s also reserves the right to pledge any due claims of the above type to third parties. All rights, including copyrights at KatwalkKimberleys.co.uk remain with KK’s. Any use of this website or its contents, including copying or storing it or them in whole or part, other than for your own personal, non-commercial use is prohibited without the permission of KK’s.